The University of Maryland has been selected as the host for LabMan 2018. The national LabMan website (labmanconference.org) will soon redirect to their conference website. Wright State thanks you for making the 2017 conference a huge success! Interested in Hosting LabMan 2019? Are you interested in hosting the LabMan Conference in either 2018 or 2019? Download and fill out this form and submit it to labman2017@wright.edu. See a list of the sponsors that helped make this year's conference a success! 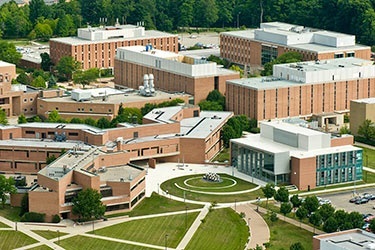 Wright State University is located at 3640 Colonel Glenn Hwy., Dayton, Ohio, 45435. A detailed map of campus is available at wright.edu/maps. The conference will be held in the Student Union Conference Center. To learn more about Wright State, visit the About Wright State page. For information on the Dayton, Ohio area and our rich aviation heritage, visit the About Dayton page.